These push back pins are great to add to anything! 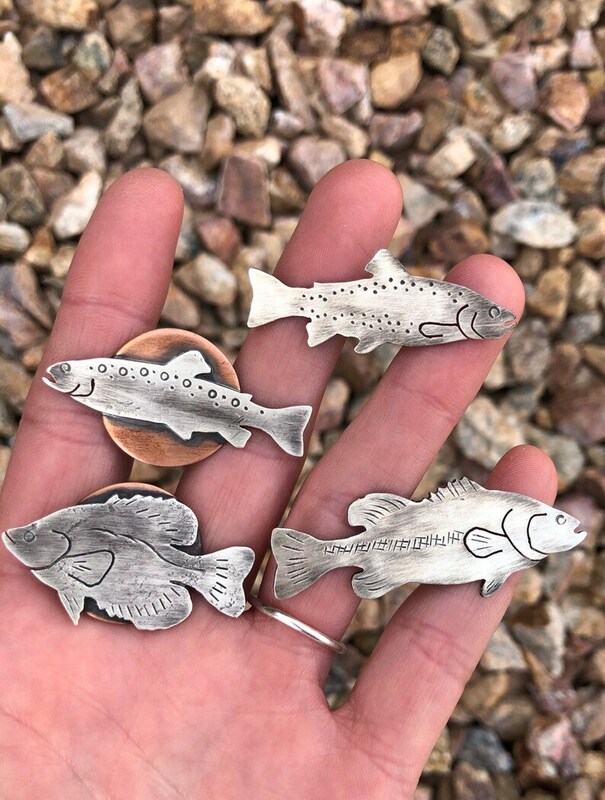 These sterling silver fish are handcrafted and designed by me. Steel pin & rubber clasp.